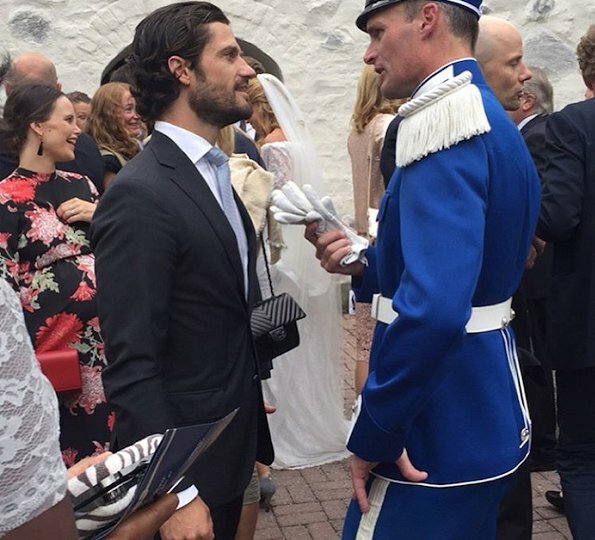 King Carl Gustaf, Queen Silvia, Prince Carl Philip and Princess Sofia attended the wedding ceremony of Niklas Gadelius and Julia Hamrin held at Lidingö Church in Lidingö on August 18, 2017. Niklas Gadelius is the son of the King Carl Gustaf's friend Bertil Nordström. 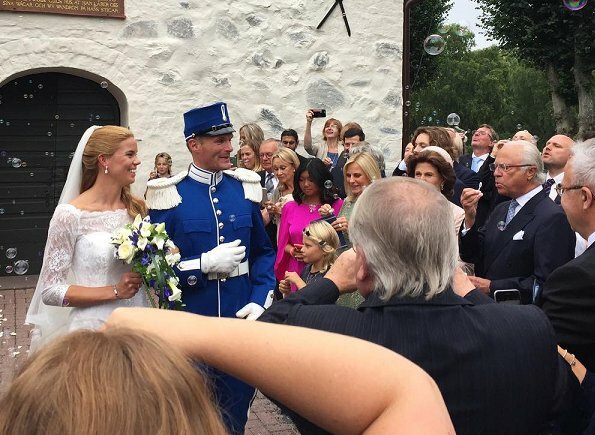 The Swedish Royal Family attended also the wedding dinner. Sofia give me a suprising gift her attended in wedding. She looks great and radiant. Me too, I was surprised to see her attending the wedding. Since her last official gig on Aug.2, I've been watching the news waiting for the big announcement. Not finding it surprising. She may be set to deliver mid september. Anyway, unless doctors said something else, she is not going to be locked at home for 4/5 weeks. Women work until theire waters brake in my country. Raquel; are they really? I thought you were Portuguese and they have 30 day maternity leave before due date? In any case we are lucky enough here in Scandinavia to have out maternity leave that 30 days before due date. I AM and no. We do not have msternity leave before the bsyby is born. Never had. And going to a weddings can hardly be considered work. Again maybe the baby is due to be born in middle september and she feels fine. Hard for Someone to be 30 days looked at home without leaving the house. Good that she went. The King always seems so solemn most of the time. The pic of him blowing bubbles is just too cute!